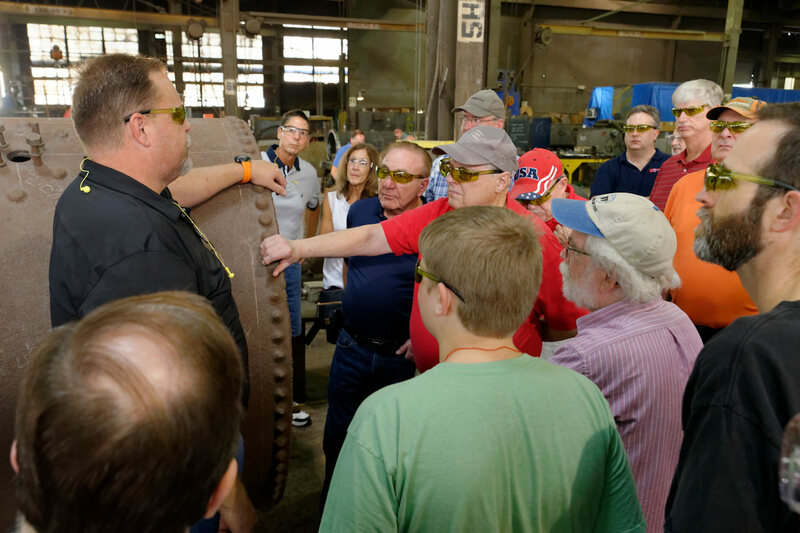 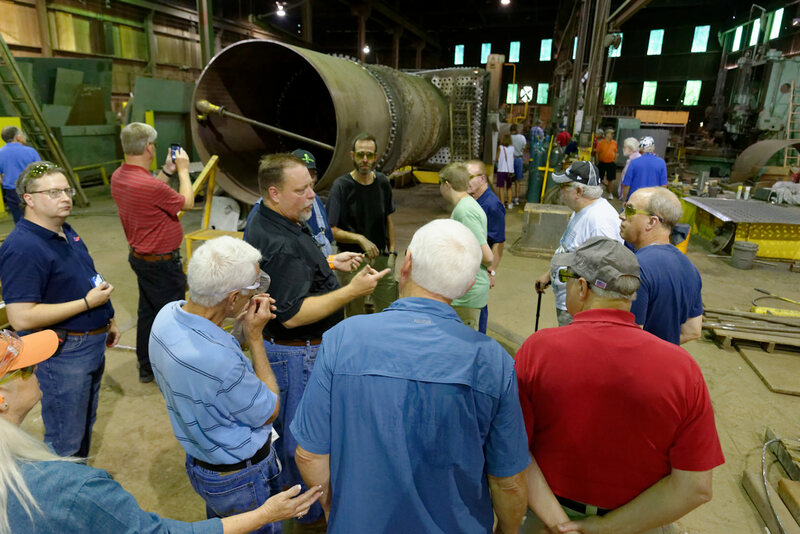 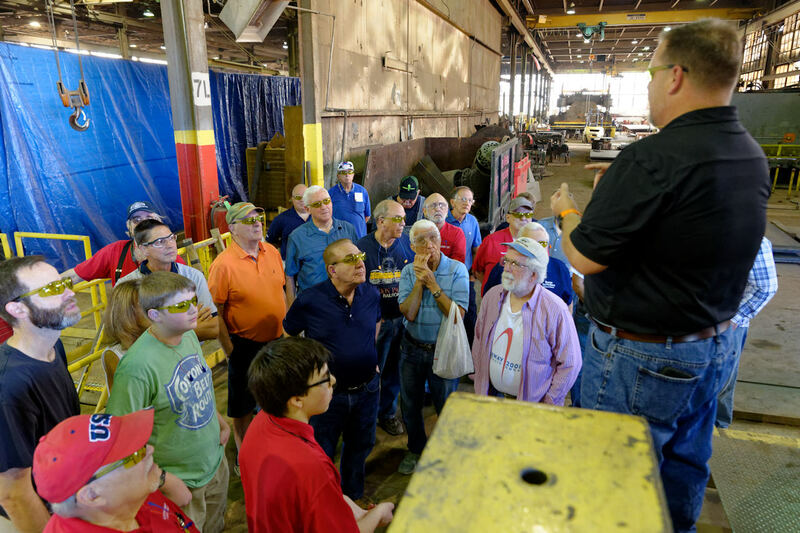 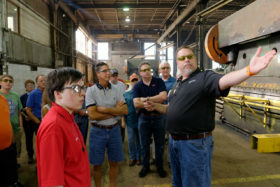 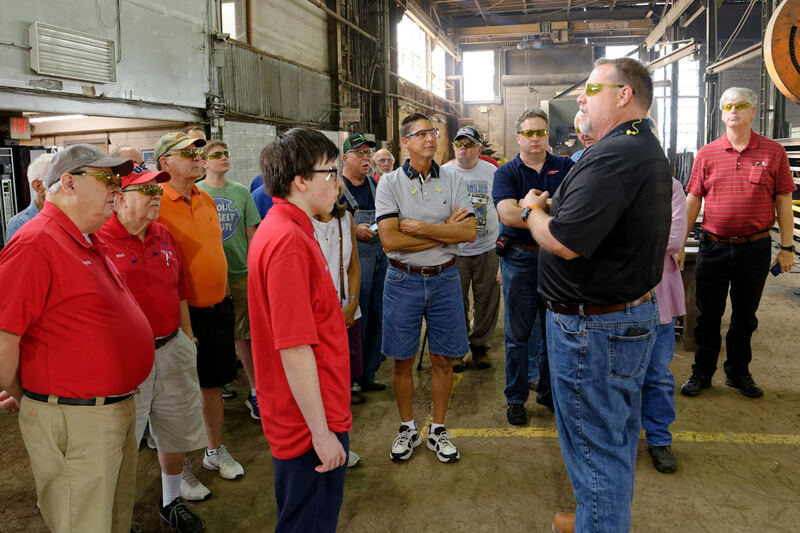 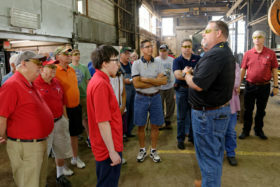 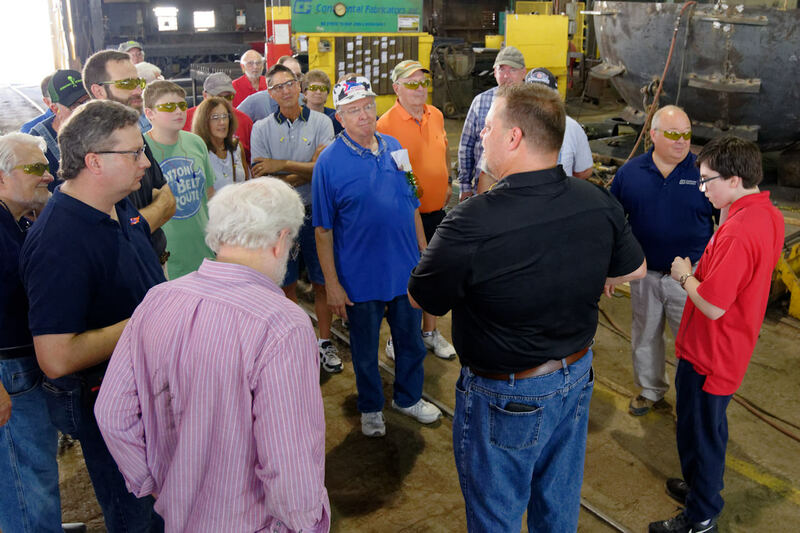 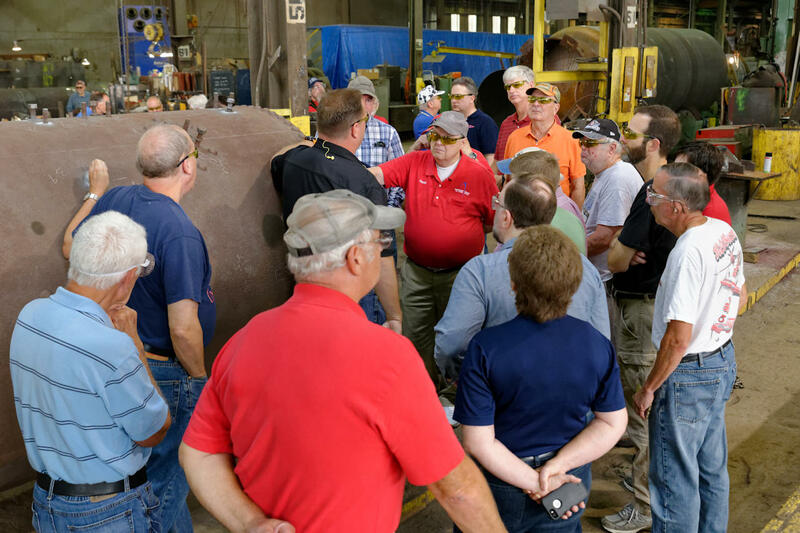 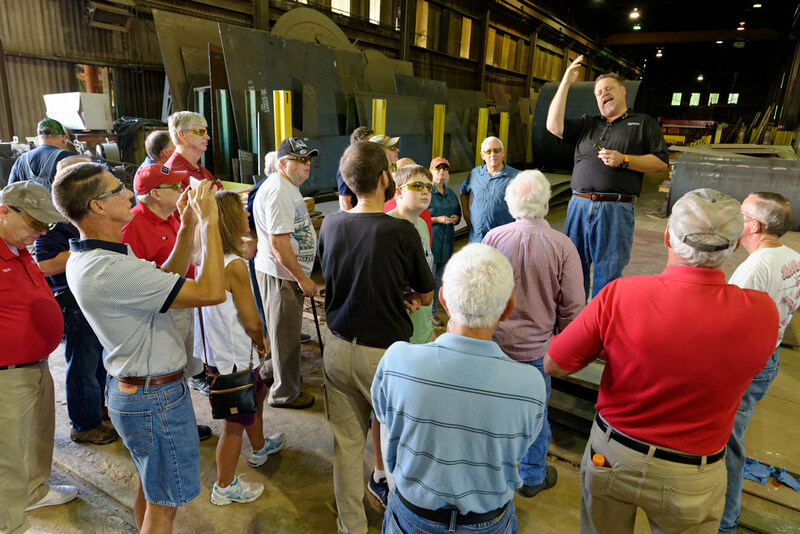 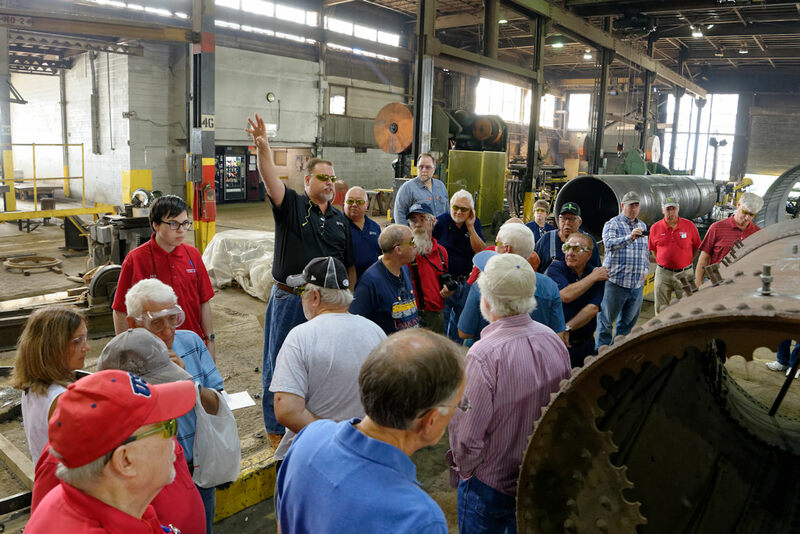 On September 15, members of the Gateway Division NMRA and St. Louis Chapter NRHS toured Continental Fabricators on Park Avenue in St. Louis. 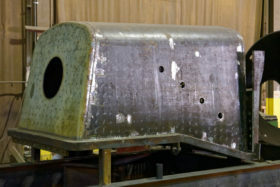 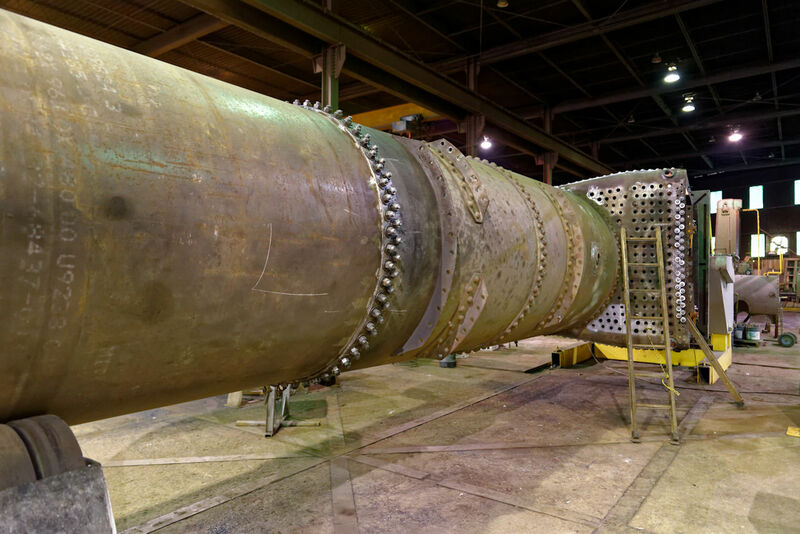 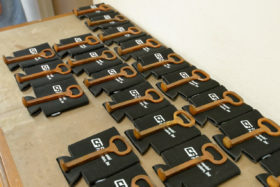 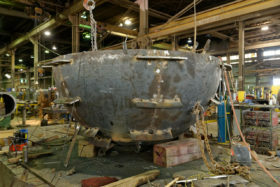 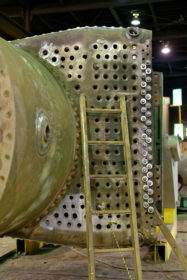 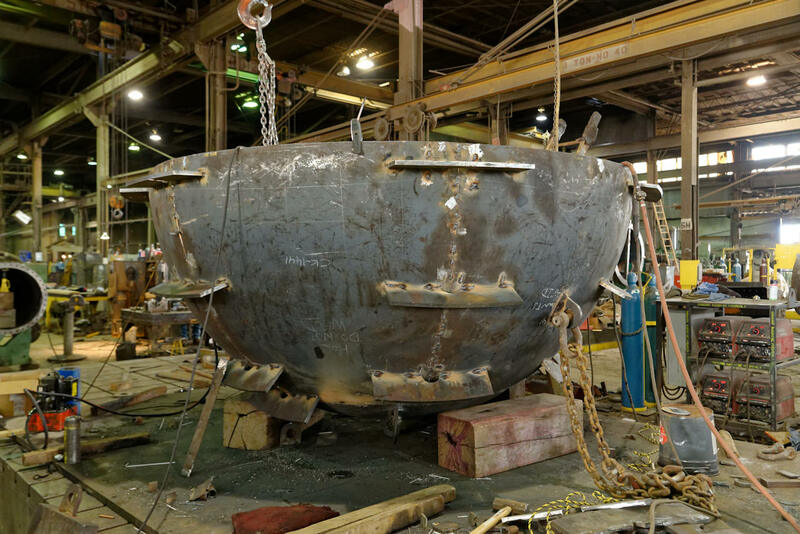 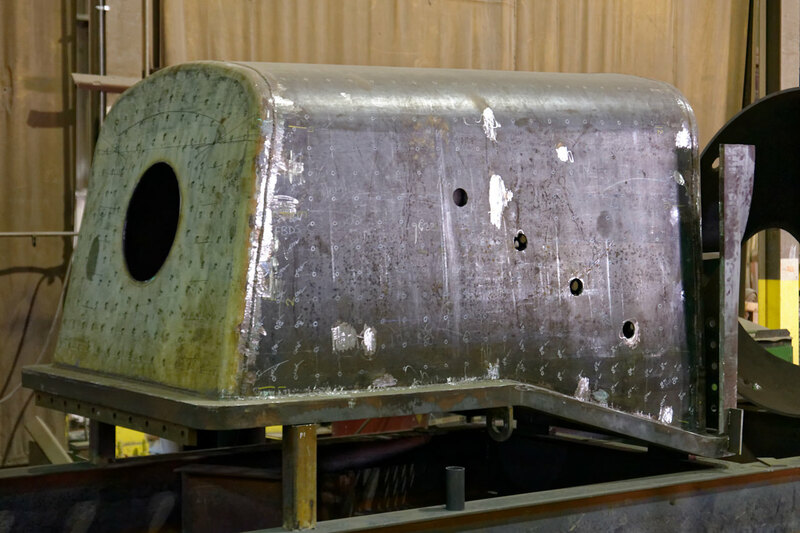 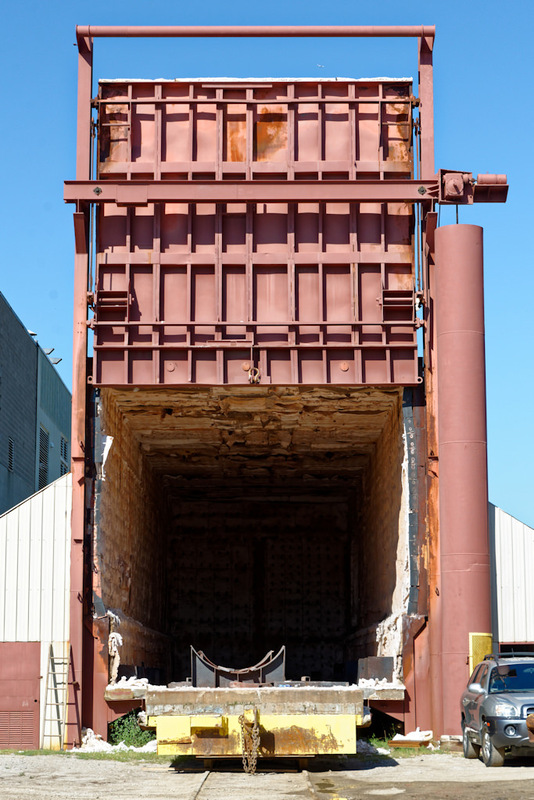 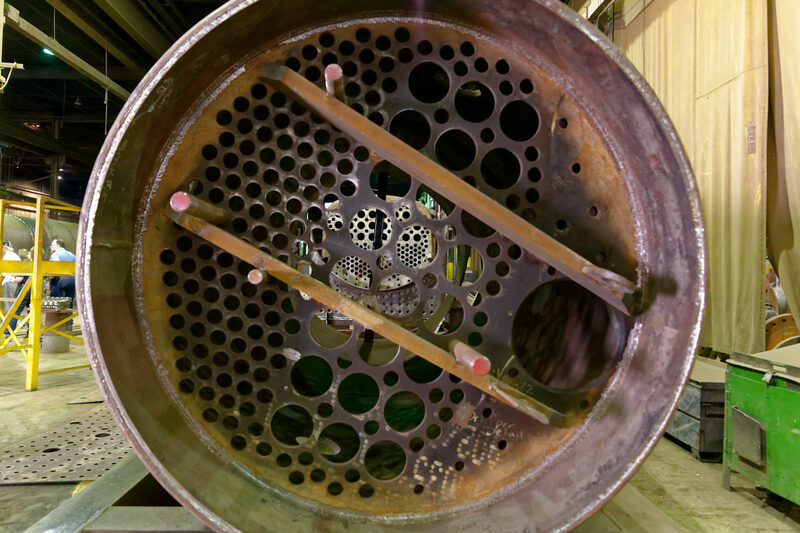 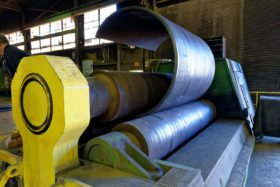 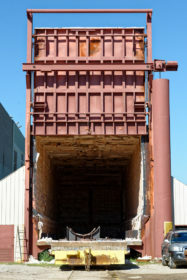 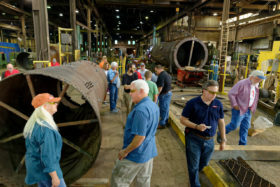 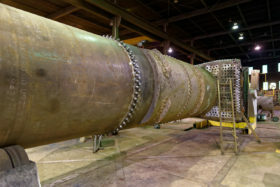 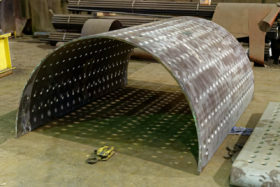 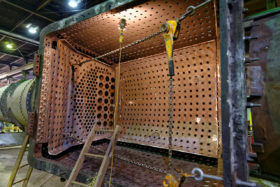 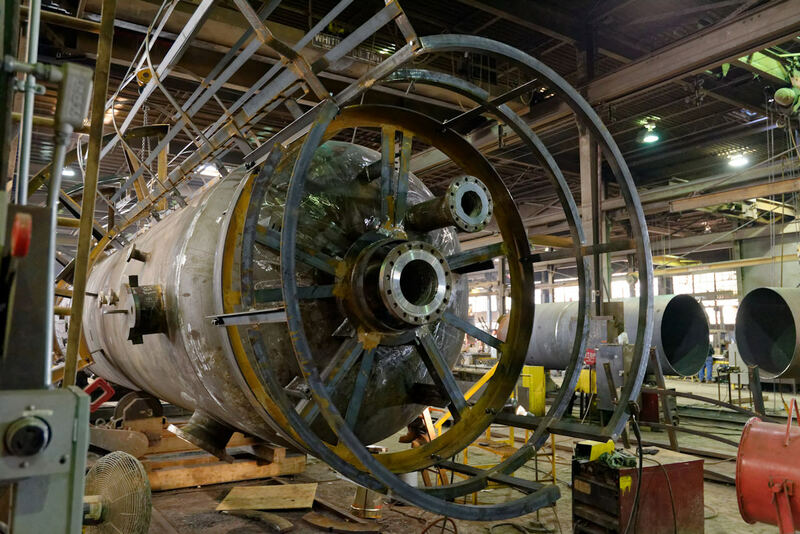 Continental fabricates pressure vessels, towers, drums, and many more items. 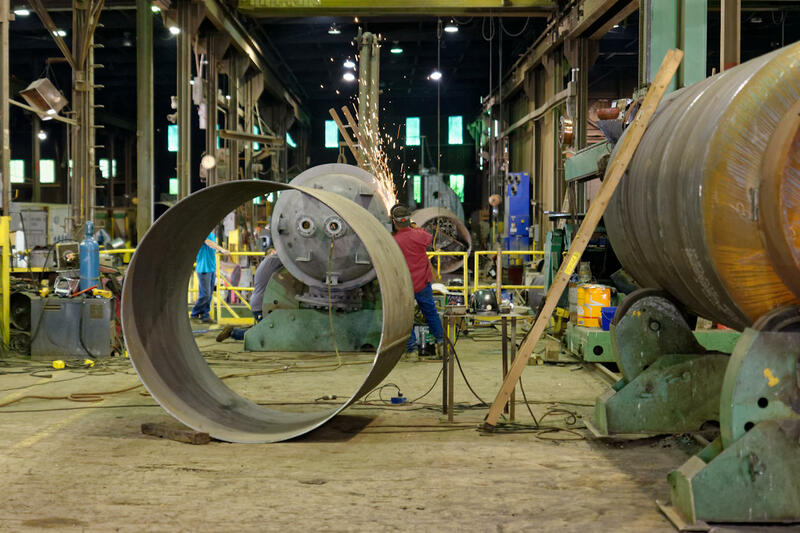 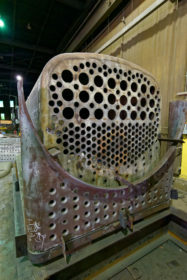 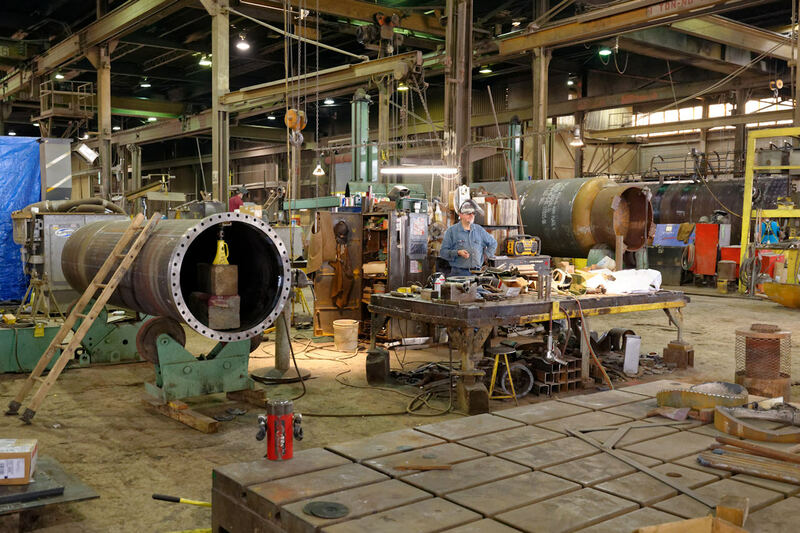 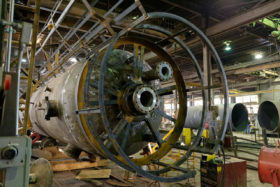 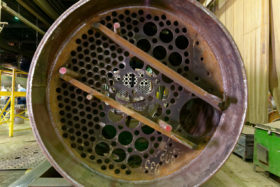 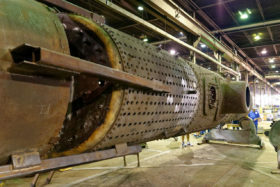 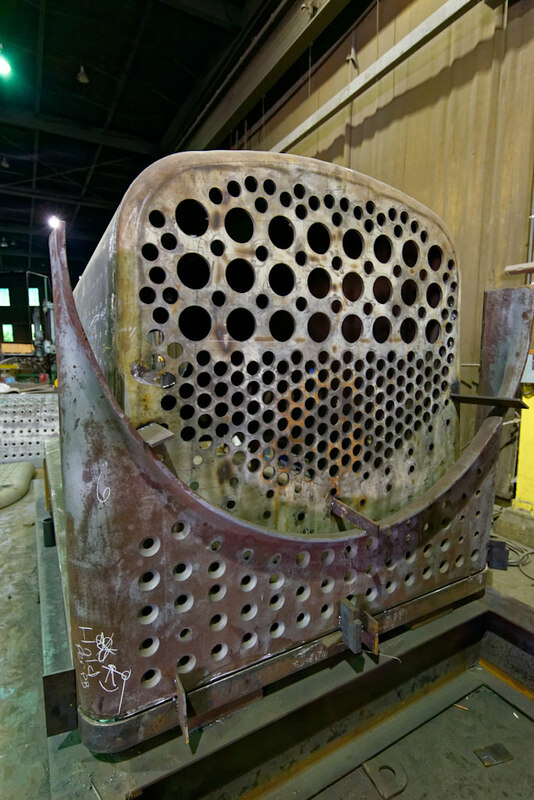 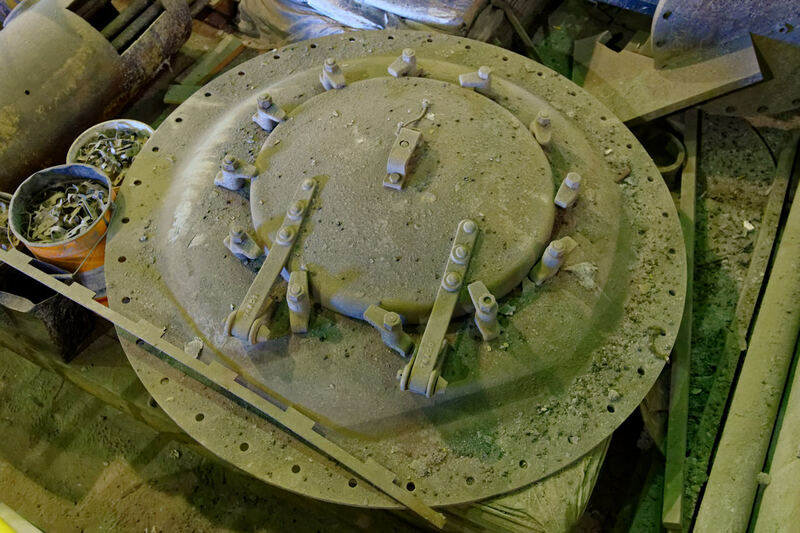 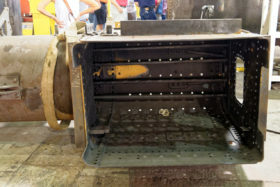 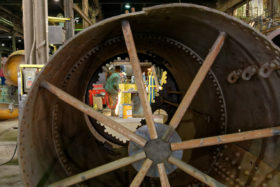 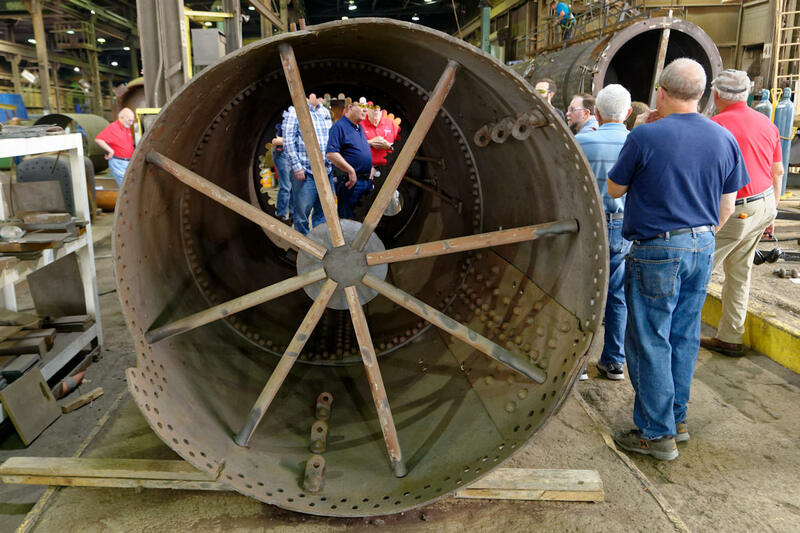 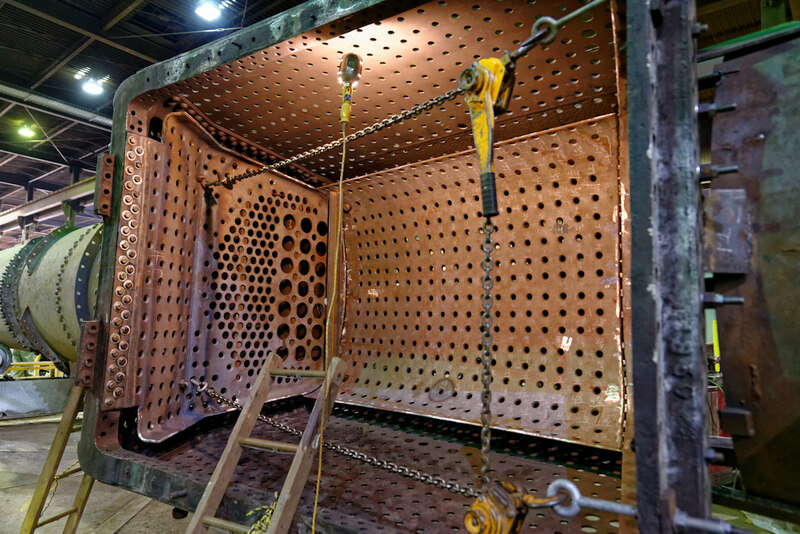 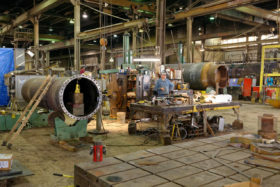 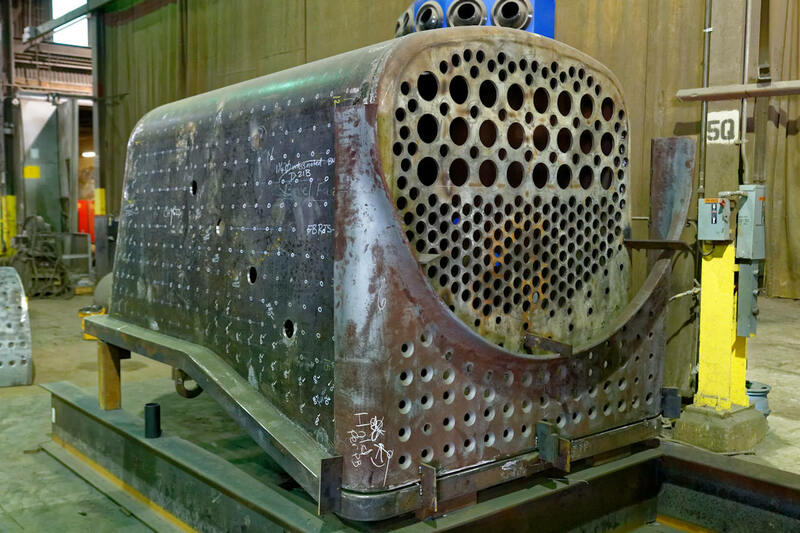 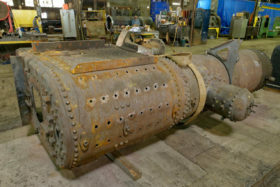 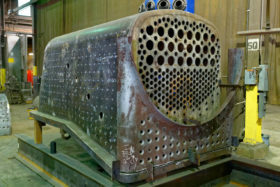 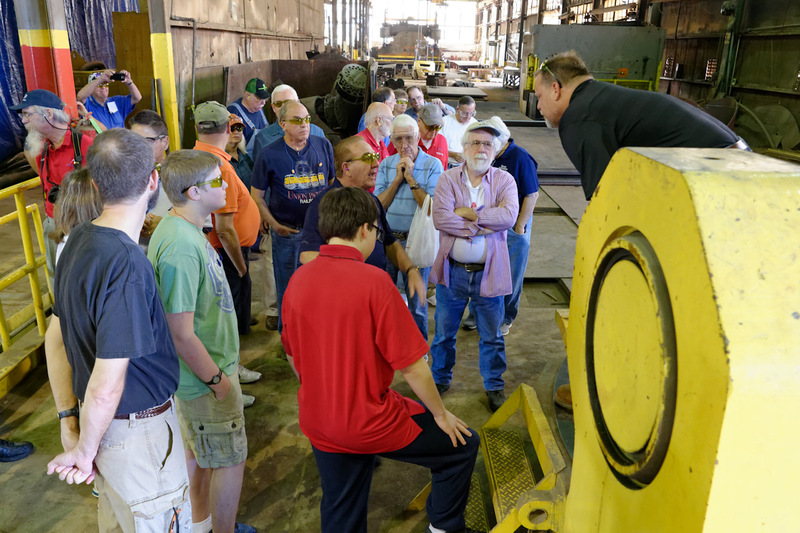 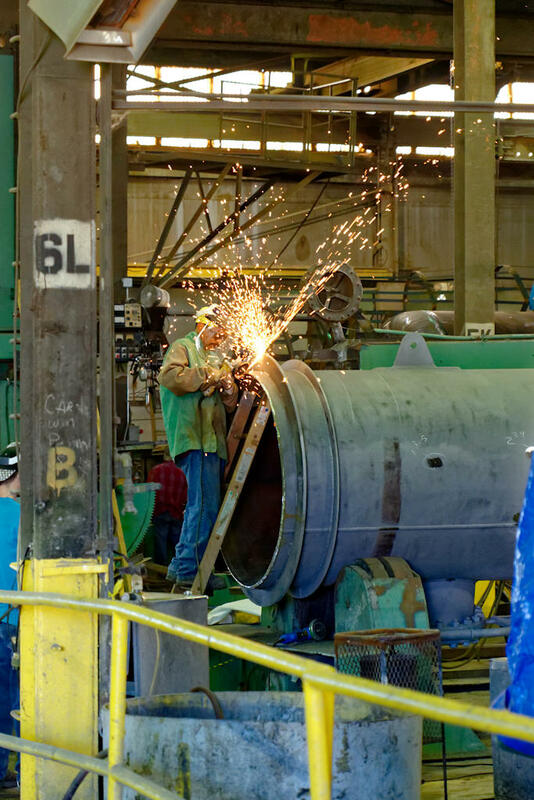 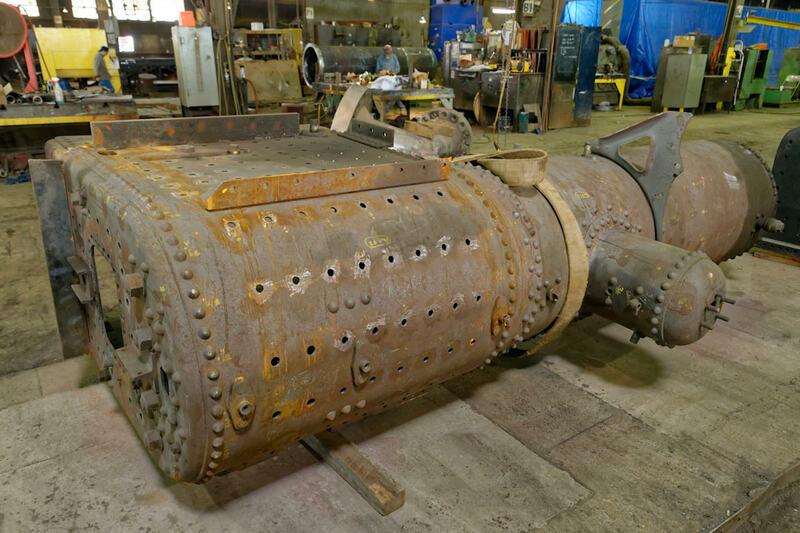 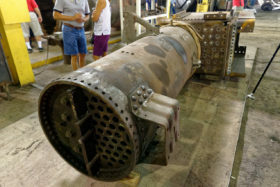 They have special expertise in fabricating, restoring and rehabbing steam locomotive boilers. 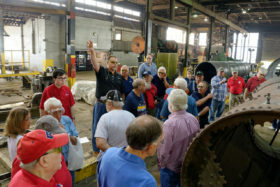 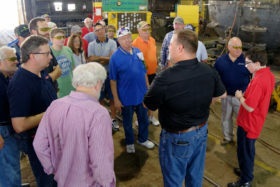 We saw components of the Pennsylvania Railroad T1 #5550 4-4-4-4 steam locomotive, a new boiler for Mid-Continent Railway Museum’s former Chicago & NorthWestern #1385 4-6-0, and boiler restorations of U.S. Sugar Co. 4-6-2 #148, Grapevine Tourist RR #1344, and the Nickel Plate RR 2-8-4 #765.